Chiriqui, west of David City. This idyllic property just begs to have a grand retirement home built on it. 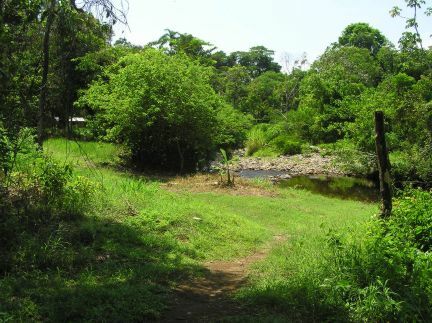 The property is approximately 2.5 acres in size with 250 meters of frontage on the WIGALA river. 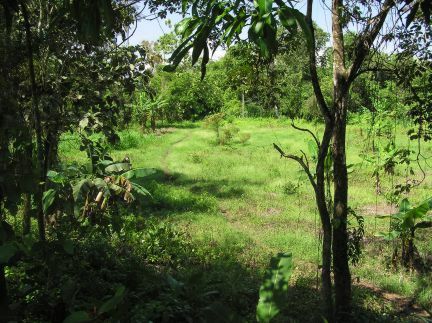 The property is CLEAR TITLED and situated in the Barriada Encanto part of Concepcion. The property is large enough to build at least 4 homes. 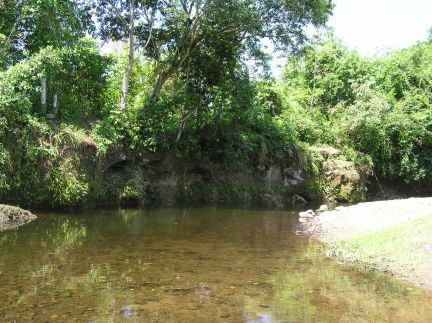 This location is ideal to build a small resort community and if good use was made of the river then some boating and canoeing is possible. 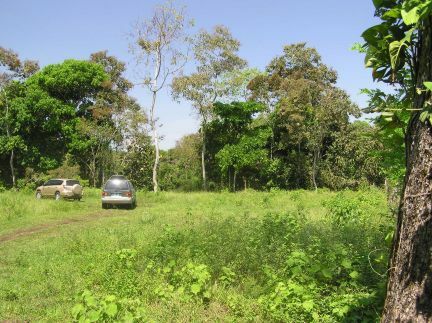 The property is 1 km from a paved road and the city of Concepcion which has numerous banks, gas stations, restaurants and a thriving central market place. David City is a mere 15 minutes drive away and that has first world shopping and hospitals. Power is 500 meters away and city water is close by. The property has a first flat first area big enough for a house and garden. Then dropping down some 10 feet it opens out into a second flat area about twice as large as the first. Finally the property drops down a small bank to the Wigala river. 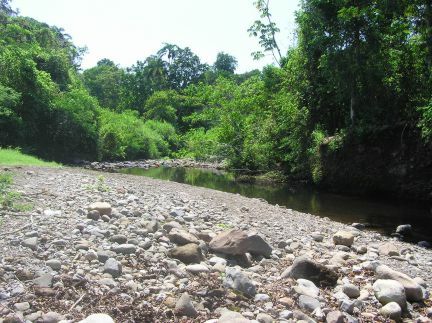 There is 250 meters of river frontage that curves slowly around the property. Local representation is with Tehani de la Guardia at Chiriqui Realty.